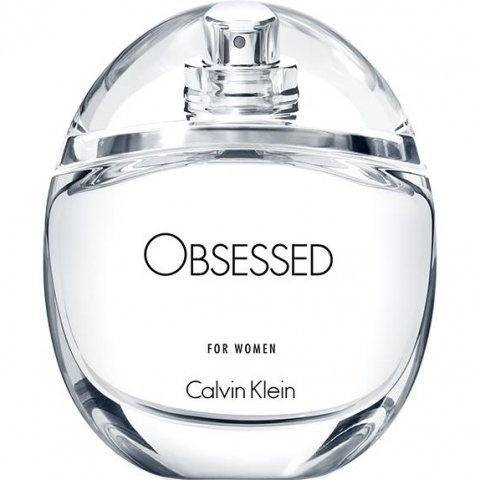 As the reinvention of an iconic fragrance, OBSESSED plays on the evocation of memory through scent. Mixing memory and desire, masculine and feminine, the past and the present, these compelling fragrances echo the original OBSESSION, yet blur and reformulate scents for both men and women today. Obsessed for Women is centered on a heart of white lavender and a base of musk, created by perfumers Honorine Blanc and Annick Menardo. It is an Oriental Aromatic Green; A female interpretation of an Oriental Lavender. Top notes: Sacred Citrus, Neroli Essence, Elemi. Heart: Violet Leaf Absolute, White Lavender, Purple Sage. Base: Musk, Helvetolide, Ambrette Muscenone. As the legendary campaign with Kate Moss and Mario Sorrenti approaches its 25th anniversary, OBSESSED utilizes never-before-seen imagery from that time and personal biography to further explore and evoke the idea of memory, past love and present iconography. Available as EDP. Obsessed for Women was launched in 2017.